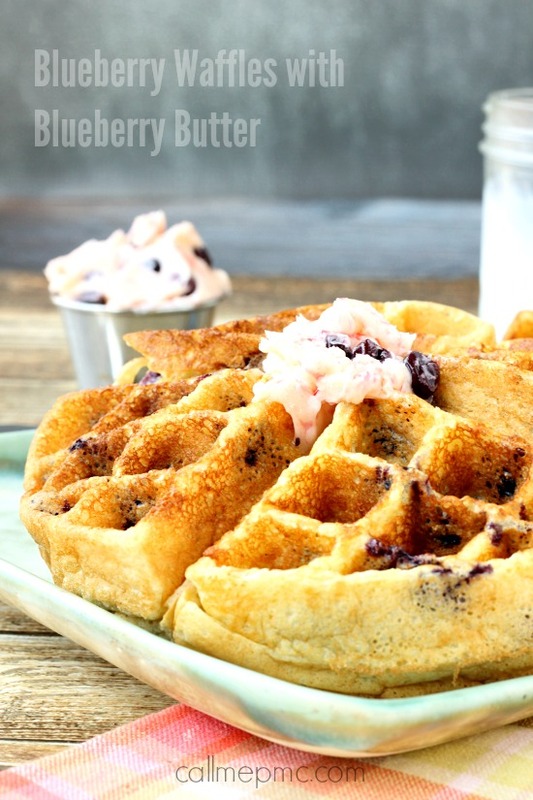 Amazing Blueberry Cornmeal Waffles with Blueberry Butter are bursting with blueberries. Cornmeal gives these waffles a slight crunch on the outside while remaining juicy from the blueberries on the inside. 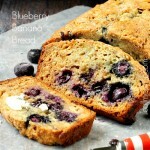 Top them of with Blueberry Butter and this will be your new favorite breakfast! 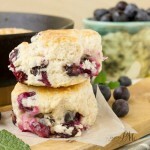 If you’re a regular reader, you know I’ve been sharing a lot of blueberry recipes lately. My mom gave me blueberries from her garden and I made Blueberry Coffee Cake, Blueberry Muffin Cake and now these waffles. She also gave me strawberries; I made Strawberry Cobbler. 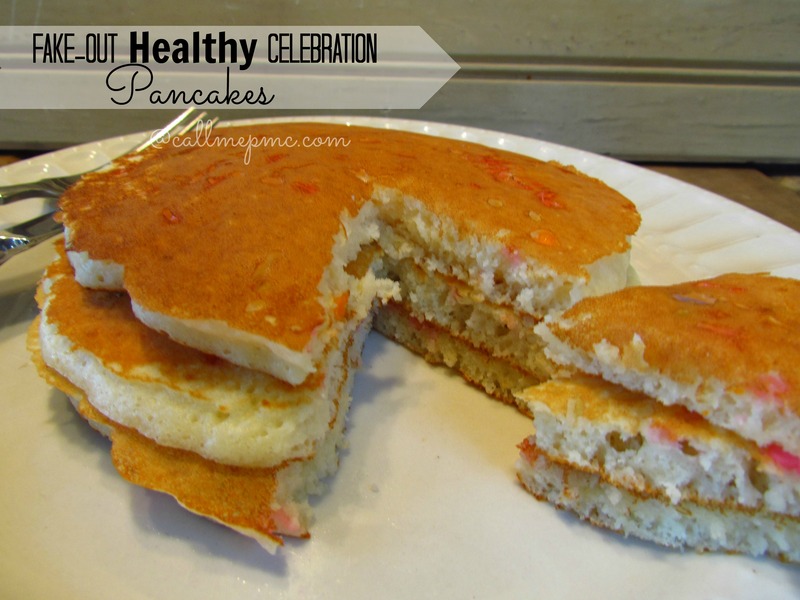 I also remade one of the most popular recipes on Call Me PMc, Easy Strawberry Cake, and took new pictures of it. On Ryder’s first day out of school for the summer, he was bored by 8:30. He also was hungry an hour or so after breakfast. When he stuck his head around the staircase and asked for something to eat, I told him I would have Blueberry waffles ready soon. He declined and went back upstairs. When they were ready, I called him down and told him I wanted him to just test them. I knew he’d like them. Well, things were different this time when he came down. He immediately said the kitchen smelled great. He tasted it and gave a thumbs up. Then I didn’t hear a peep from him for the next 10 minutes as he devoured a giant Blueberry Cornmeal Waffle!! 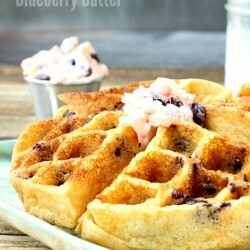 These Blueberry Cornmeal Waffles with Blueberry Butter aren’t sweet. 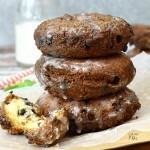 I wish I had tried this recipe the other day when I ran out of sugar!! (I know, I rarely run out of anything, but I sure did this time!) 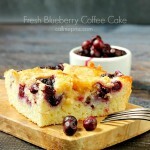 In fact without the blueberries, this would make a great Chicken and Waffle entrée! You can substitute sour cream for the Greek yogurt in this recipe. 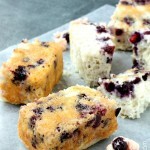 I always replace sour cream with Greek yogurt in my recipes now: Blueberry Swirl Pound Cake, Sausage Cheese Scones. 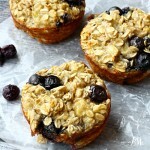 You can also use fresh or frozen blueberries, you’ll just want to drain them and pat them dry before adding to the batter. The important thing to remember when making pancakes or waffles is to allow 5 minutes for your batter to sit. 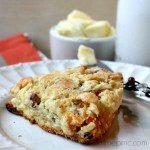 This helps the proteins develop as well as allows the leavening ingredients to work creating that light, fluffy texture. I usually mix the batter up, set it aside and preheat the waffle iron. By the time it’s hot, the batter should be ready. 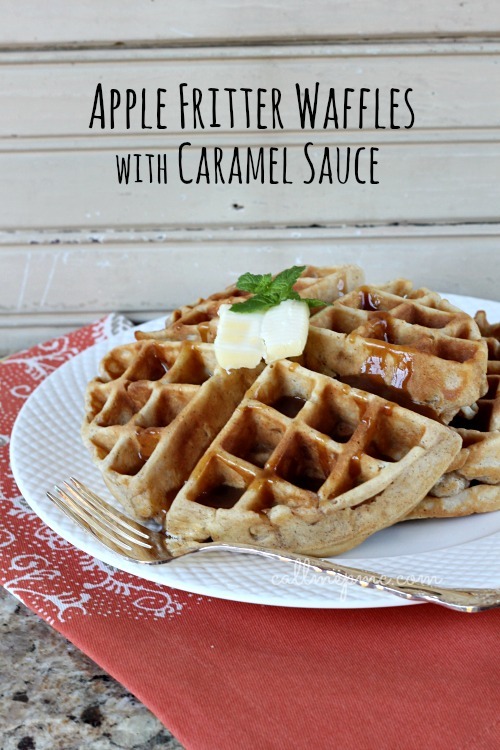 If you’re a waffle connoisseur and are used to whipping egg whites for your waffles, you could do that with this recipe. Frankly, I just simply cannot tell a difference and I’d rather save that time and my arm, therefore, I beat the entire egg, add the other wet ingredients and (boom!) done! 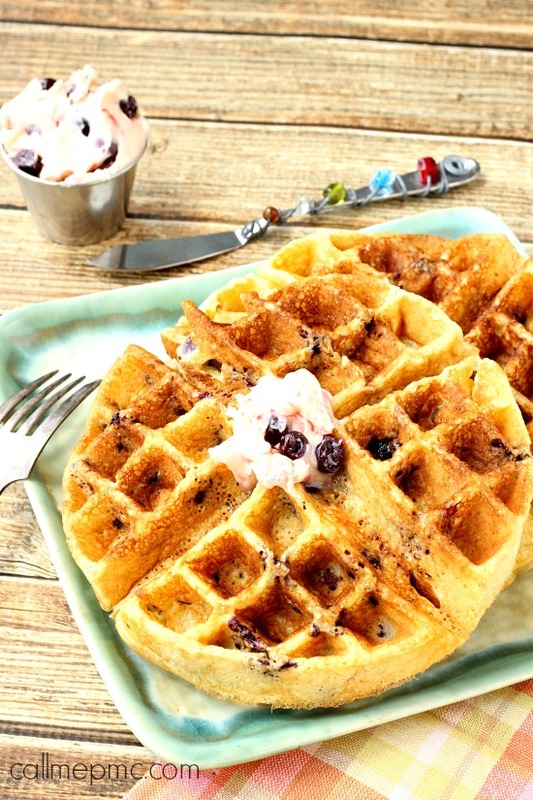 Golden, crispy and fluffy these Belgian-style Blueberry Cornmeal Waffles are a winner! Waffles can be made ahead of time and kept warm in 200 degree oven. Allow waffles to cool completely, pack in an airtight container and freeze. 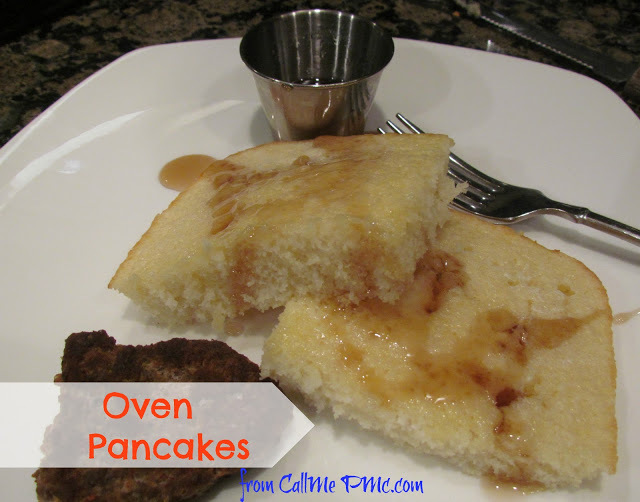 Reheat in the microwave, oven or toaster oven. Most waffles are done in 4 to 5 minutes. Check for doneness at 4 minutes. If the cover of the waffle maker doesn’t lift easily, allow the waffles to cook another minute before checking again. Also, when the steaming stops is also a god indicator that the waffles are done. In a large bowl, mix together the cornmeal, flour, baking powder, sugar and salt. In another smaller bowl, beat eggs, add milk, yogurt and oil. Pour the yogurt mixture into the dry ingredients and stir until just combined. Fold in the blueberries. Allow batter to sit 5 minutes while waffle iron is heating. Cook waffles according to your waffle iron instructions. I cooked these waffles in a Belgian waffle iron and it took 4 to 5 minutes for medium browned waffles.Blueberry Butter - Mix butter and sugar together until smooth. Stir in blueberries and mix until well incorporated. Some berries will break and color the butter. This is okay. Once you have it mixed store in an airtight container in the refrigerator up to 2 weeks. 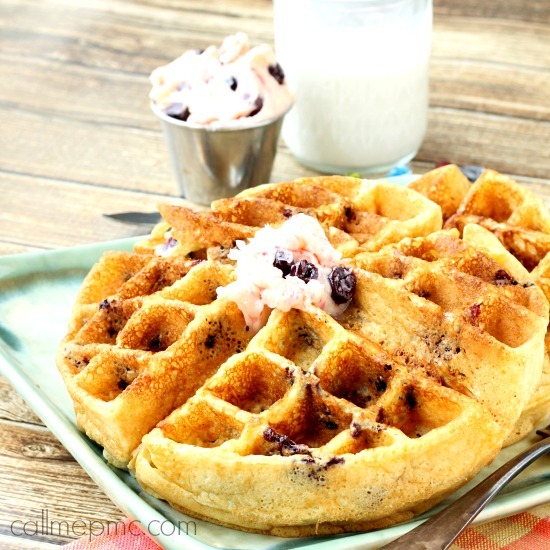 You may substitute sour cream for the Greek yogurt in this recipe.Makes 4 Belgian waffles or 16 regular wafflesPlace waffles on a wire rack in a 200 degree oven to keep warm while cooking remaining waffles.Serve with Blueberry Butter and/or maple syrup. ©CallMePMc.com All images & content are copyright protected. Please do not use my images without prior permission. 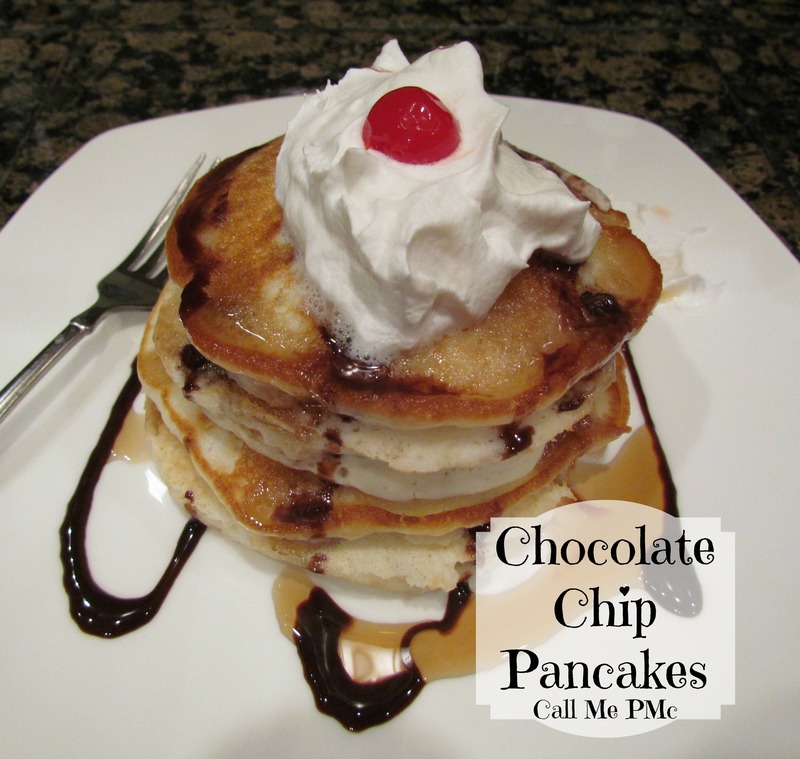 If you want to republish this recipe, please re-write the recipe in your own words, or link back to this post for the recipe.